Tickets for White Lotus Club NYC New Years Eve 2020 are currently not on sale. As you ring in the New Year at White Lotus Club this December 31st, you might as well be ringing in the new millennium as time flies in light-year luxury. 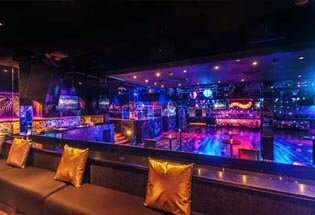 Boasting unbridled debauchery, 22nd century chic décor and phenomenal amenities such as a premium open bar and live DJ entertainment, White Lotus Club—nestled within the cutting-edge Out Hotel—is home to Hell’s Kitchen’s hottest New Year’s Eve party. Priding itself on prime location and premier celebrations, Hell’s Kitchen’s White Lotus Club at the Out Hotel is truly an unprecedented Midtown party mecca. 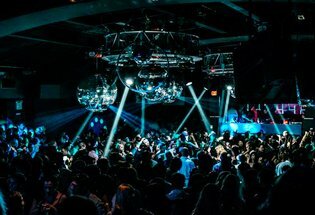 At 14,000 sq feet, this venue’s all-black-everything atmosphere silhouetted in high-end neon LED accents is like something from your most innovative Tron fantasy, compete with next-level sound capabilities, light displays and indulgent projections. A state-of-the-art late night haven within Midtown Manhattan’s most captivating boutique hotel and resort, The Out Hotel. Kicking of the celebration with a four hour premium open bar and futuristic motifs, it’s little wonder as to why White Lotus Club will have you in high-voltage holiday spirit in no time. Putting your megawatt mood to good use, be sure to immerse yourself in shameless festivities alongside some of the city’s poshest party rockers on the dancefloor, ruled over by bass-heavy sets from one of NYC’s finest DJs featuring Top 40 hits, mash-ups and house favorites. 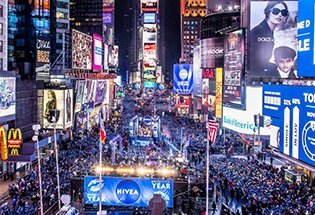 Dancing the night away to crowd-pleasing tracks and a year’s worth of reasons to celebrate, commence on the dance floor as midnight approaches for a DJ countdown, backlit by a live broadcast of the Times Square Ball Drop and a complimentary champagne toast. In addition to the indulgent amenities already mentioned, those looking to make their way into the future most fabulously are encouraged to opt into a VIP ticket package featuring table and bottle service options. Leave the past where it belongs this New Year’s Eve by diving into the future with phenomenal amenities and advanced opulence at White Lotus Club. Tucked within the en vogue Out Hotel.